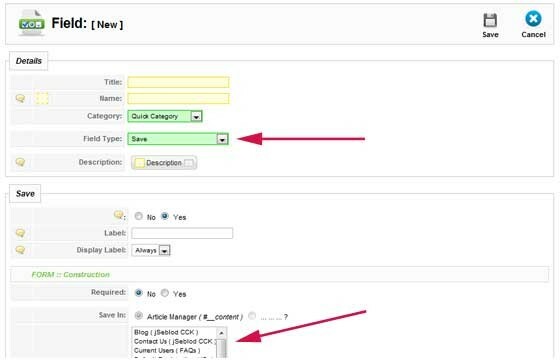 In this case the user will be able to select a section then a category. 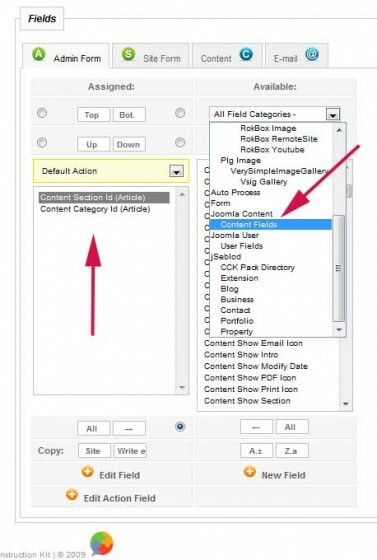 Select in the "Joomla Content > Content Fields" field category fields called "Content Section Id (article)" and "Content Category Id (Article)"
In this case the user will be able to select only a category in a predefined list of categories. 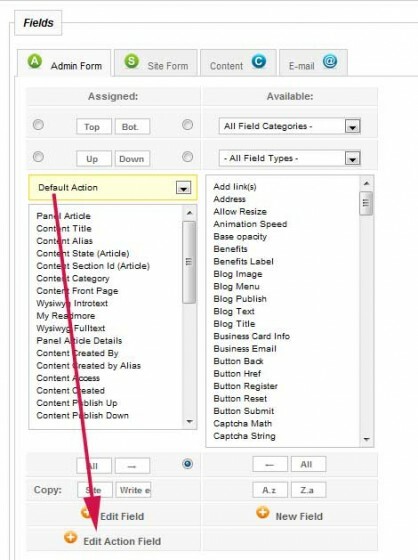 Edit your content type and create a new field. 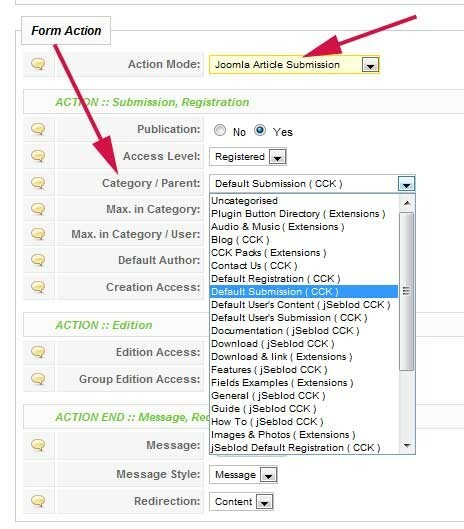 Select the "Save" field type and select the list of predefined categories which will be authorize to save the content. Very usefull: don't forget that you can define different fields in your administration form and in your website form. 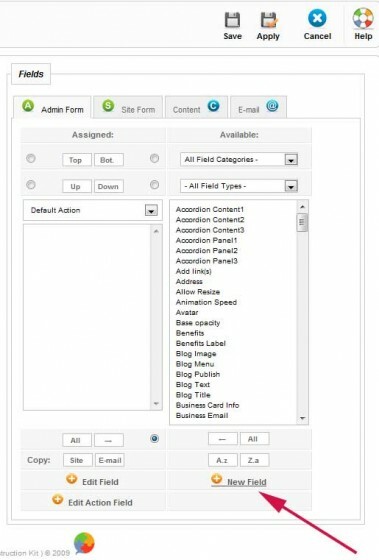 So you can have in administration form the choice to select section and category but not in your website form which can be saved in a predefined category.